On this edition of the Crypto.IQ Daily Radio Show we do a deep dive market analysis. Bitcoin (BTC) has broken through the critical $5,300-$5,400 resistance level and has risen as high as $5,600 this morning. For the first time since 2015 the 50 day moving average for Bitcoin (BTC) has moved above the 200 day moving average, which is called a golden cross and is usually a bullish sign. The Binance DEX wallet has gone live, and it is projected that trading will go live on the Binance DEX in coming days. We discuss how Bakkt physical Bitcoin futures continue to be delayed due to regulatory concerns regarding crypto custodianship. Hear about how a SIM swapper who stole $7.5 million of crypto is going to prison for 10 years. Learn about Vitalik Buterin’s plans for Ethereum (ETH) proof of stake. On this edition of the Crypto.IQ Daily Radio Show we do a deep dive market analysis. Bitcoin (BTC) continues to be stuck at the $5,300-$5,400 resistance level, and the crypto market is waiting for Bitcoin (BTC) to make a move. Binance Coin (BNB) continues to rally as the launch of the Binance DEX approaches. We discuss how Bitcoin SV (BSV) has experienced two small block-reorgs. There is speculation that this could be an attack, but it also could be the result of Bitcoin SV’s (BSV) network propagation being relatively poor due to large block sizes. Hear about how people are betting Bitcoin (BTC) on who will win the Iron Throne in Game of Thrones. Learn about Bcause Mining LLC, which has declared chapter 11 bankruptcy to protect itself from debts with the local electric company and U.S. Customs and Border Protection, and how this is the first such case for a crypto company. We also discuss Satoshi’s Treasure, the worldwide hunt for $1 million of Bitcoin (BTC), and the interesting dynamics that are beginning to develop within the game. On this edition of the Crypto.IQ Daily Radio Show we do a deep dive market analysis. Bitcoin (BTC) is continuing to push up against the $5,300-$5,400 resistance level, and the market is waiting to see if Bitcoin (BTC) will finally break through this critical resistance. Binance Coin (BNB) continues to rally in anticipation of the launch of the Binance DEX, and Mithril (MITH) has rallied over 50% on news that it is the first project migrating to the Binance Chain. Hear about how a hacker obtained the first three private keys for Satoshi’s Treasure without even leaving their computer. Satoshi’s Treasure is a game where 400 out of 1,000 private keys must be collected to win $1 million of Bitcoin (BTC), and people are supposed to physically find the keys rather than just find them with a computer. We discuss Democratic presidential candidate Andrew Yang who strongly supports crypto and blockchain and has a plan for a $1,000 per month universal basic income for all adult Americans. If this happened the USD would probably collapse and Bitcoin (BTC) would probably become the primary global currency. Learn about how FinCEN has issued their first penalty to a peer to peer crypto trader for failing to acquire a money transmitter license. On this edition of the Crypto.IQ Daily Radio Show we do a deep dive market analysis. The crypto market is generally in the green this morning with Bitcoin (BTC) approaching the $5,300-$5,400 resistance level. Binance Coin (BNB) is rallying due to the announcement that the Binance Chain has gone live, and the Binance DEX should be live within the next week. We discuss how Coinbase’s revenues and profits have been cut in half from 2017 to 2018 due to the bear market, but 2019 might be better due to the resurgence of the crypto market. Hear about how the government of France may start accepting Bitcoin (BTC) donations for the burned-down Notre Dame cathedral, even though $1 billion of donations have already been received and that is more than enough money to rebuild. We also discuss how Bitcoin (BTC) has the same transaction volume in 10 days that Venmo has in a year, but this might not be a good comparison since PayPal and Square Cash have overtaken Venmo’s market share. That being said, Bitcoin (BTC) adoption is indeed rapidly rising long term. On this edition of the Crypto.IQ Daily Radio Show we do a deep dive market analysis. Bitcoin (BTC) is stable near $5,200 this morning following a price rise yesterday afternoon. We discuss how Bitcoin Core is the best Bitcoin (BTC) wallet to use since it is the only self-sufficient Bitcoin (BTC) wallet and perhaps the most secure. There are only 9,500 Bitcoin Core wallets running full nodes in the world, and more people need to download Bitcoin Core in order to ensure Bitcoin’s (BTC) decentralization. Learn about the Gate.IO initial exchange offering (IEO) which raised $64 million. Since Gate.IO is in China a loophole was used for the IEO instead of a direct offering like a typical ICO. Hear about the ‘hackers’ in Sweden which took over the leading political party’s Twitter account and tweeted that the Swedish Krona had been abandoned and Bitcoin (BTC) is the new national currency of Sweden. We also discuss how Afghanistan, Tunisia, and Uzbekistan may offer Bitcoin (BTC) bonds in the future. On this edition of the Crypto.IQ Daily Radio Show we do a deep dive market analysis. Bitcoin (BTC) is continuing to hover near $5,000, and since Bitcoin (BTC) dropped since yesterday the crypto market is generally in the red this morning. The Mayer Multiple (MM), which is a ratio of Bitcoin’s (BTC) price to the 200 day moving average, has moved above 1.0, which in the past has been an indicator that a bear market is ending. Bitcoin SV (BSV) is continuing to plummet following the Twitter battle between Bitcoin SV (BSV) Founder Craig Wright and Lightning Torch Founder Hodlonaut. Binance and ShapeShift have delisted Bitcoin SV (BSV), and Kraken is also threatening to delist. Binance has announced another quarterly Binance Coin (BNB) burn, but it has had no effect on the market today. This is probably due to Binance burning coins that are not actually in circulation. Coinbase and Binance are offering a new Proof of Stake (PoS) service where users can hold PoS coins and earn from mining. Since both these exchanges have selected Tezos (XTZ) for their PoS service, Tezos (XTZ) has rallied over 170% since the beginning of March. Hear about Satoshi’s Treasure, which is a treasure hunt where users download clues from the Blockstream Satellites and find Bitcoin (BTC) private keys hidden in physical locations. Whoever finds 400 out of 1,000 keys wins $1 million of Bitcoin (BTC). We discuss how LedgerX is trying to launch physical Bitcoin (BTC) futures in the United States, but how this may prove difficult due to the Commodities Futures Trading Commission (CFTC). On this edition of the Crypto.IQ Daily Radio Show we do a deep dive market analysis. Bitcoin (BTC) has risen into the $5,100-$5,200 range over the weekend. Bitcoin Cash (BCH) has rallied 17% and Bitcoin SV (BSV) has crashed 8 percent this morning on news that Bitcoin SV (BSV) is being delisted from Binance, following the Twitter debacle between Craig Wright and Hodlonaut. The Ethereum developers are discussing the possibility of more frequent hard forks in order to get to Ethereum 2.0 aka Serenity more quickly. However there are dissenting opinions on this issue since it is difficult to do frequent hard forks. We discuss how BitMEX may add Bitcoin (BTC) bonds in the future as well as the option of buying the S&P 500 and Nasdaq stock indices with Bitcoin (BTC). On this edition of the Crypto.IQ Daily Radio Show we do a deep dive market analysis. Bitcoin (BTC) and the rest of the crypto market are slowly rising after a bearish day yesterday. Hear about how a Federal Reserve meeting which forecasted economic instability likely led to the Bitcoin (BTC) price rise to over $5,400 on Wednesday. We discuss the Twitter battle between Craig Wright and Lightning Torch Founder Hodlonaut, which has escalated to Craig Wright threatening to sue Hodlonaut and offering a $5,000 bounty to DOX Hodlonaut, Hodlonaut deleting his account, and the CEO of Binance threatening to delist Bitcoin SV (BSV). We also discuss how the President of the United States wants to shutdown money remittances for illegal immigrants so they don’t send money to their families in Mexico, and how Bitcoin (BTC) is the solution to this potential problem. On this edition of the Crypto.IQ Daily Radio Show we do a deep dive market analysis. Bitcoin (BTC) got firmly rejected from the $5,300-$5,400 resistance level after a false breakout yesterday afternoon, and this morning Bitcoin (BTC) has traded as low as $5,000. Several major cryptocurrencies are down 10% or more. Julian Assange, the Founder of WikiLeaks, has been arrested after spending nearly a decade in the Ecuadorian Embassy in London, but is still receiving Bitcoin (BTC) donations despite his detainment. Hear about how Coinbase has launched a crypto debit card in the UK, which is a crucial missing link for cryptocurrency adoption. We discuss how the FxBitGlobe crypto ponzi scheme has received a cease and desist order from the state of Texas after offering unrealistic returns to investors and falsely claiming to be compliant with government regulations. Bittrex’s New York BitLicense application has been rejected, and now Bittrex must halt all operations in the state of New York. On this edition of the Crypto.IQ Daily Radio Show we do a deep dive market analysis. Bitcoin (BTC) remains stuck below the $5,300 resistance level, but appears to be preparing for another attempt to break this critical resistance level. We discuss how Bitcoin (BTC) has now processed 400 million transactions since it was created, which is a big milestone, but there is a ton of room to grow. To put things in perspective Visa processes 150 million transactions per day, so in three days Visa processes more transactions than Bitcoin (BTC) has in its entire history. Hear about the strange case of a hacker who scammed dark web users and is now in prison. We also discuss the blockchain-based streaming platform DLive which has the goal of competing with YouTube, but simultaneously it is unlikely that any blockchain dApp could compete with YouTube. Learn about how Bitstamp has finally received the New York BitLicense. On this edition of the Crypto.IQ we do a deep dive market analysis. Bitcoin (BTC) got rejected from the $5,300-$5,400 resistance level yesterday and is now trading near $5,200, resulting in bearish sentiment this morning. Coinbase has announced that they will be listing EOS, Maker (MKR), and Augur (REP). We discuss how China may ban Bitcoin (BTC) mining, which would have a major impact on the mining industry since most of the world’s mining hash rate is located in China. Ultimately, a ban on Bitcoin (BTC) mining in China may be a good thing since it would decentralize the mining industry. Hear about how Facebook is looking to raise $1 billion for its stablecoin. We also discuss how the Electrum Bitcoin (BTC) wallet is experiencing a heavy denial of service (DoS) attack, and simultaneously hackers are running 200 servers which prompt users to upgrade their Electrum client to a hacked version. This has already resulted in millions of dollars of losses. Also, the civil rehabilitation process for Mt. Gox, where creditors will be paid back, may end up getting delayed by two years due to litigation with Coinlab. On this edition of the Crypto.IQ Daily Radio Show we do a deep dive market analysis. Bitcoin (BTC) is currently at $5,200, with support at $4,800 and resistance at $5,300-$5,400. The Litecoin (LTC) block halvening is coming in August, which may lead to a Litecoin (LTC) rally due to reduced market supply. Hear about a South Korean artificial intelligence (AI) program which uncovered an $18.7 million crypto ponzi scheme. Learn about how blockchain can be used for supply chains, specifically Russia’s Gazprom is planning on using blockchain technology. We discuss how Chinese investors are paying a premium for Tether (USDT), since it is a way to move fiat into the crypto markets following the Chinese fiat to crypto trading ban in 2017. Also hear about how Nigerians are petitioning their government to sue Paxful for sketchy business practices. On this edition of the Crypto.IQ Daily Radio Show we do a deep dive market analysis. The crypto market has recovered most of the losses from yesterday evening’s bearish trading activity, with Bitcoin (BTC) stabilizing near $5,000 and the total crypto market cap rising back to $175 billion. Binance is launching a fiat to crypto exchange in Singapore. We discuss how the launch of fiat onramps in major cities worldwide is critical infrastructure for the next major crypto rally. Hear about how the lightning torch is finally coming to an end after a highly successful campaign which proved the utility of the Bitcoin (BTC) lightning network. We discuss how Bitcoin (BTC) is actually quite green and eco friendly, despite some of the mainstream media painting Bitcoin (BTC) as an environmental disaster due to the electricity consumed from Bitcoin (BTC) mining. The fact of the matter is Bitcoin (BTC) uses far less electricity and fossil fuels than banks. Also, Bitcoin (BTC) is deflationary, which promotes saving and more efficient consumption of consumer goods, versus inflationary fiat which promotes spending and rapid consumption. On this edition of the Crypto.IQ Daily Radio Show we do a deep dive market analysis. The crypto market is generally in the red this morning following a sharp price drop that started yesterday afternoon, putting an end to the rally that lasted two days. Crypto prices are still well above their pre-rally prices with Bitcoin (BTC) near $5,000. We discuss how Avocado prices have been closely correlated to the price of Bitcoin (BTC) since early February, but how this is likely a case of correlation without causation. The SEC has approved the Turnkey Jet ICO, which is the first time the SEC has approved any ICO. Simultaneously the SEC has finally released detailed guidance defining what a crypto security is. The Liquid cryptocurrency exchange has reached a valuation of $1 billion, making it the 2nd tech startup unicorn in Japan. Two more crypto related ETPs have been listed in Europe on the Nordic Growth Market, which is a stock exchange in Sweden. Hear about Marmotcoin which is backed by actual marmots in the Founder’s backyard. On this edition of the Crypto.IQ Daily Radio Show we do a deep dive market analysis. The crypto market is extremely bullish this morning, with Bitcoin Cash (BCH) up 50 percent, Dogecoin (DOGE) up 35 percent, and Litecoin (LTC) up 21 percent over the past 24 hours. Also Bitcoin (BTC) is over $5,000 again. We discuss how WEG bank in Germany is being bought up by cryptocurrency companies, and how it could be very beneficial for the crypto space to have a bank that fully supports cryptocurrency. Hear about how the Federal Reserve’s FedWire went down for a few minutes, showing the vulnerability of centralized payment systems. Learn about how the Bitcoin (BTC) lightning network has exceeded $5 million of capacity for the first time, and how the lightning network is maturing as a scalability solution for Bitcoin (BTC). We also discuss how Russian individuals and corporations have invested $8.6 billion in cryptocurrency. On this edition of the Crypto.IQ Daily Radio Show we do a deep dive market analysis. Bitcoin (BTC) shattered the $4,200 long term resistance level just after midnight and rallied as high as $5,080. Data indicates that a coordinated buy of $100 million of Bitcoin (BTC) on three different exchanges triggered a massive short squeeze. The total crypto market cap gained $18 billion overnight, and now sits 65 percent above the bear market low of $100 billion. We discuss how the USD has lost 96 percent of its value since the launch of the Federal Reserve in 1913, and how a combination of stocks crashing, USD devaluation, and the May 2020 block halvening could lead to the biggest Bitcoin (BTC) rally in history in the next year or two. Learn about Coinbase’s international payment service which uses cryptocurrency to transfer funds across the world in a few seconds and for low fees, which is far cheaper and faster than standard international bank transfers. This shows the intrinsic value of cryptocurrency. Hear about how a Ripple (XRP) exchange traded product (ETP) has launched on the Swiss Stock Exchange. On this edition of the Crypto.IQ Daily Radio Show we do a deep dive market analysis. Bitcoin (BTC) has finally broken through the $4,000 resistance level, and now all eyes are on the $4,200 long term resistance level. Tezos (XTZ) has rallied 19 percent following Coinbase’s announcement that they are launching an institutional staking service, and Tezos (XTZ) is the first Proof of Stake (PoS) cryptocurrency to be offered by this service. Bitmain’s Jihan Wu is beating the war drum by saying that ASICs will likely be created for the supposedly ASIC resistant algorithms ProgPoW and Cuckoo Cycle. Jihan Wu also discussed how Ethereum (ETH) is wrong for trying to ban ASICs, and argues that ASICs are a decentralizing force. Also, Bitmain is aiming to release 7 nm chips by the end of the year, in time for the May 2020 block halving. We discuss how Craig Wright and his firm nChain are trying to get as much blockchain patents as possible, and are hiring a lawyer to defend their patents. On this edition of the Crypto.IQ Daily Radio Show we do a deep dive market analysis. Bitcoin (BTC) is once again stuck at the $4,000 resistance level, and due to Bitcoin’s (BTC) lack of direction the rest of the crypto market is mixed this morning. It has been revealed that a hacker printed 2.25 billion Stellar (XLM) back in 2017, and this accounted for 25 percent of the circulating supply back then. Apparently Stellar (XLM) quietly patched this bug and burned an equivalent amount of Stellar (XLM). BitMEX Research has found that it is possible to earn 1 percent annually from running a Bitcoin (BTC) lightning network node, but earning that much requires constantly shifting capacity to the parts of the lightning network with the highest fees. Without doing any work only about 0.001 percent would be earned annually from running a node. We discuss how Localbitcoins is going to be placed under direct supervision from the Financial Authority of Finland, continuing the trend of increased regulation for peer to peer Bitcoin (BTC) trading. Hear about how Bitmain rival Canaan is hoping to do an IPO on the stock market, after being rejected by the Hong Kong Stock Exchange in November. On this edition of the Crypto.IQ Daily Radio Show we do a deep dive market analysis. The crypto market has turned bullish, with all major cryptocurrencies seeing significant gains and Bitcoin (BTC) rising to $4,000. We discuss how the crypto hedge fund Pantera has raised $160 million, and how the crypto hedge fund industry in general is paving the way for institutional investment into cryptocurrency. Learn about a Staten Island man who has been indicted for running a fraudulent cryptocurrency investment scheme. Hear about how Bitmain is re-applying for an IPO after being rejected by the Hong Kong Stock Exchange, the management at Bitmain has been shuffled, and how Bitmain owes investors $715 million if they fail to do an IPO. We also discuss the darknet sting code named SaborTor, which pulled in $4.5 million of cryptocurrency, $2.5 million of cash, 300 kg of drugs, and 51 firearms. This huge darknet sting has had no effect on the crypto market, showing how Bitcoin (BTC) and cryptocurrency has matured since the Silk Road era. On this edition of the Crypto.IQ Daily Radio Show we do a deep dive market analysis. Bitcoin (BTC) is trading near $3,900, and the crypto market is generally bearish today following Bitcoin’s (BTC) rejection from the $4,000 resistance level yesterday. We discuss how the United States bond yield curve has inverted, and how this is a solid indicator that a stock market recession is coming in the next year. We speculate that this stock market recession, if it happens, could cause the biggest Bitcoin (BTC) rally in history. Further, the block halvening is coming in May 2020, around the same time the stock recession may be happening. Bitcoin (BTC) block halvenings decrease market supply and can help induce a major Bitcoin (BTC) rally. Hear about a guy who is trying to sell his ICO project on EBay for $60,000, and how this is not a good deal. Learn about the DragonEx cryptocurrency exchange in Singapore which was hacked and has gone offline. On this edition of the Crypto.IQ Daily Radio Show we do a deep dive market analysis. Bitcoin (BTC) is retreating from the $4,000 resistance level and the crypto market is in the red. Hear about how the Bitmain IPO application has been rejected by the Hong Kong Stock Exchange. We discuss how the Democratic Federation of Northern Syria is trying to use blockchain and cryptocurrency to form a decentralized government, in order to avoid the mistakes of the past that caused the Syrian Civil War. Learn about the nonsensical bet that Tim Draper made with the Argentinian president, where if Bitcoin (BTC) falls below the value of a peso Draper will invest double in Argentina. The Argentinian Peso is only worth $0.024 and constantly losing value, so this would never happen. We also discuss how Palestinian terrorist organization Hamas was trying to raise money with Bitcoin (BTC) after being cut-off by Qatar, and they have barely raised any money at all. Hear about how the ‘benevolent dictator’ of Bitcoin Cash (BCH) is quitting Bitcoin Unlimited, continuing the trend of increasing schisms in the Bitcoin Cash (BCH) space, and potentially paving the way for yet another fork. On this edition of the Crypto.IQ Daily Radio Show we do a deep dive market analysis. Bitcoin (BTC) got rejected at the $4,000 resistance level yesterday morning, but is trying again to retest this critical resistance level. The crypto market is largely in the green this morning and poised for a rally if the $4,000 resistance level is broken. We discuss how the Central Bank of Mexico is proposing a law change that will make cryptocurrency exchanges illegal. We also discuss how the first crypto ATM in Dubai has been shutdown due to lacking KYC/AML protocol, but may reopen in the future once KYC/AML is implemented. Hear about AriseBank and AriseCoin, which promised customers a crypto oriented bank with FDIC insurance and visa cards, but was all a scam. The AriseBank CEO now faces 20 years in prison and has to pay back the $4.25 million of investments. Learn about how Bakkt’s valuation is now at $740 million and may hit $1 billion soon, which would give Bakkt crypto unicorn status, despite Bakkt not yet launching physical Bitcoin futures nor any other services. On this edition of the Crypto.IQ Daily Radio Show we do a deep dive market analysis. Bitcoin (BTC) is having a difficult time at breaking through resistance at $4,000-$4,050, resulting in a mixed morning on the crypto markets. Hear about how Bitcoin’s (BTC) Lightning Torch is coming to an end soon and will be donated to an organization which feeds Venezuelans. We discuss the Mt. Gox civil rehabilitation process, which has progressed to the point that claimants are receiving emails, but no actual disbursements are expected until at least May. Learn about how Twitter and Square CEO Jack Dorsey is forming a Bitcoin (BTC) and crypto development team, and is in general going all-in on crypto. Learn about a bug which has been discovered in the Augur prediction market platform, which allows attackers to profit off creating invalid markets. On this edition of the Crypto.IQ Daily Radio Show we do a deep dive market analysis. Bitcoin (BTC) is right at the $4,000 resistance level, and if it can break this level the crypto market is poised for a rally. All eyes are on breaking the $4,200 resistance level for a crypto bull run. Cryptopia has re-opened for trading following a hack and police investigation. Cryptopia has no plan for reimbursement yet, but has deposited Cryptopia Loss Marker (CLM) into user’s accounts representing the amount of money lost. Bitcoin’s (BTC) hash rate has risen back to 52 EH/s, showing that miners are turning back on most of their rigs, which likely means miners are expecting a Bitcoin (BTC) rally. This is much needed news for the mining rig manufacturing industry, which has been hit hard by the bear market. Hear about the Cheollima Civil Defense organization, which is selling visas for a future liberated North Korea for 1 Ethereum (ETH) each, and how these funds are to be used to help overthrow North Korea. The visas are non-fungible tokens on the Ethereum (ETH) blockchain. We discuss how the Binance Launchpad for ICOs has been quite successful, and now Bittrex, KuCoin, and Huobi are making their own ICO launchpads. This is causing a resurgence in the ICO industry, which is a bullish sign. On this edition of the Crypto.IQ Daily Radio Show we do a deep dive market analysis. The crypto market is generally in the green this morning. Bitcoin (BTC) is facing resistance at $4,000 before it can continue to rally. Dubai has installed its first Bitcoin (BTC) ATM, which is another win for global Bitcoin (BTC) and cryptocurrency adoption. There are now 4,430 cryptocurrency ATMs worldwide. In other adoption news, Switzerland’s biggest online retailer has begun accepting cryptocurrency. Learn about Japan’s new regulations for cryptocurrency exchanges that offer leveraged trading. We discuss how Jeff Garzik has been subpoenaed by federal court to provide information about Satoshi and other early Bitcoiners. This is in relation to the Craig Wright versus the estate of Dave Kleiman lawsuit over 1.1 million Bitcoins (BTC). This subpoena suggests that the federal court is using this case in order to acquire critical early information about Satoshi and Bitcoin (BTC), which may be an abuse of power. That being said, this case may reveal previously unknown information about the early days of Bitcoin (BTC), and is perhaps the most important case to watch in the crypto space. On this edition of the Crypto.IQ Daily Radio Show we do a deep dive market analysis. Bitcoin (BTC) finally broke the $3,900 resistance level over the weekend, sparking a broad crypto rally. The total crypto market cap went as high as $141.5 billion. Canadian regulators may ban cryptocurrency short selling and margin trading, and we explain how this is a bad strategy. Mark Karpeles may have gotten a relatively light sentence from a Japanese court, but the former Mt. Gox CEO now faces a court case in Illinois. Learn about Gatecoin, which is yet another crypto exchange that has gone out of business. Hear about how GPU miners can now earn extra money by contributing their GPU power to a pool for gamers. On this edition of the Crypto.IQ Daily Radio Show we do a deep dive market analysis. Bitcoin (BTC) is rising towards the critical $3,900 resistance level this morning, and the crypto market is largely in the green. Stellar (XLM) is the only cryptocurrency losing value this morning, despite just being added to Coinbase Pro. We discuss how CBoE has discontinued their Bitcoin futures contracts, giving CME a monopoly over Bitcoin futures in the United States. Hear about how Mark Karpeles is not going to prison and instead got the equivalent of four years probation. However, Mark Karpeles may ultimately face a case in the United States for the Mt. Gox collapse. We also discuss how MakerDAO is trying to bring the Dai (DAI) stablecoin back to $1 via raising the stability fee, and how this resembles the Federal Reserve. On this edition of the Crypto.IQ Daily Radio Show we do a deep dive market analysis. Bitcoin’s (BTC) price has barely moved since yesterday, and the crypto market is mixed. Stellar (XLM) is rallying on news that it is getting added to Coinbase. Tether (USDT) updated its website and now indicates that each Tether (USDT) is not backed by pure cash but also assets, cash equivalents, and receivables from loans. Hear about how Tron Founder Justin Sun is giving away $20 million and a Tesla on Twitter. We discuss how Japan and Europe have negative interest rates, which essentially means loans are free for banks, and how this is equivalent to money printing. There are $9.6 trillion of negative interest rate bonds worldwide, and as this situation evolves it could lead to fiat inflation and a Bitcoin (BTC) rally. On this edition of the Crypto.IQ Daily Radio Show we do a deep dive market analysis. Bitcoin (BTC) remains below $3,900 and is not moving in any particular direction, resulting in the rest of the cryptocurrency market being mixed. Mark Karpeles, the CEO of Mt. Gox, will receive his verdict on Friday and faces up to ten years in a Japanese prison, following the epic collapse of Mt. Gox in early 2014. Hear about the movie coming out called ‘Crypto’, and how this movie perpetuates the negative mainstream stigma towards cryptocurrency. We also discuss how the United States has sanctioned the Russian bank which was facilitating the Venezuelan Petro, and how the Lightning Torch is becoming so big that it is becoming hard to send due to lack of lightning channel liquidity. On this edition of the Crypto.IQ Daily Radio Show we do a deep dive market analysis. Bitcoin (BTC) continues to trade below $3,900, and other major cryptocurrencies are mixed this morning. We discuss how Bittrex will begin facilitating ICOs, similar to the Binance Launchpad. Hear about an Ethereum (ETH) user who accidentally sent $300,000 of transaction fees, and the mining pool which gave half the money back. We also discuss how the Emaar Group, the same people who built the Burj Khalifa, are planning on launching a cryptocurrency, and how Paxos standard is planning on launching precious metal stablecoins. On this edition of the Crypto.IQ Daily Radio Show we do a deep dive market analysis. Bitcoin (BTC) is still stuck below the $3,900 resistance level, and Binance Coin (BNB) may be in the midst of a pump and dump as it jumps to the number 7 spot on CoinMarketCap. QuadrigaCX has been granted another stay from the court for 30-45 days, despite evidence that customer’s funds are not in the cold wallets. There’s also some evidence that a QuadrigaCX Co-Founder was trading millions of dollars on BitMEX. Hear about yet another blockchain firm that has gone bankrupt despite previously raising tens of millions of dollars. On this edition of the Crypto.IQ Daily Radio Show we do a deep dive market analysis. Bitcoin (BTC) failed to break above $3,900 earlier this morning and now the crypto market is mixed. We discuss how the recent stock market surge can be explained by $3 trillion of money printing since November, and how this could eventually lead to hyperinflation and a Bitcoin (BTC) rally. Hear about the Blockstream satellites which can be used to send messages across space via the Bitcoin (BTC) lightning network. Learn about how 1Broker is going out of business following SEC and CFTC enforcement, and how this is a warning to other crypto derivatives exchanges to avoid allowing users in the United States. We also discuss the BTC-e successor WEX, which has been accused of laundering ransomware money. On this edition of the Crypto.IQ Daily Radio Show we do a deep dive market analysis. Bitcoin (BTC) and cryptocurrency prices are on an uptrend this morning. Binance Coin (BNB) is particularly bullish this morning and is up over 20 percent. Hear about how Coinbase has fired employees with connections to Hacking Team, after a public backlash over Coinbase’s acquisition of blockchain forensics firm Neutrino. We discuss how Starbucks will be working with Bakkt to convert Bitcoin (BTC) to US dollars for coffee purchases, but will not be accepting actual Bitcoin (BTC). We also discuss how Kroger subsidiary Smith’s has stopped using Visa and is considering using the Bitcoin (BTC) lightning network at its 100+ stores nationwide, which would be a positive step for Bitcoin (BTC) adoption. Lightning Torch Sent From Iran To Israel, Coinbase Under Fire For Hiring Company Connected To Hacking Group, RChain Nearing Bankruptcy, Why Are Big Crypto Exchanges Raising Hundreds Of Millions Of $? On this edition of the Crypto.IQ Daily Radio Show we do a deep dive market analysis. Bitcoin (BTC) declined to $3,700 overnight, and major cryptocurrencies are deep in the red. Hear the heartwarming story of the Bitcoin (BTC) lightning torch being sent from Iran to Israel, and how RChain is nearing bankruptcy only a year after its $22.2 million ICO. We discuss how Coinbase is under fire for hiring a blockchain forensics firm with ties to Hacking Group, and how Coinbase apparently leaked customer’s data before that. Numerous Coinbase users are reporting that they are trying to close their accounts due to this news, but are not able to do so. We also discuss how big crypto exchanges like Coinbase, Circle, and Kraken are raising and seeking hundreds of millions of dollars of investment despite having a monopoly over the lucrative Bitcoin (BTC) dealing industry. On this edition of the Crypto.IQ Daily Radio Show we do a deep dive market analysis. Cryptocurrencies are mixed this morning with Bitcoin (BTC) on a slow upglide. Mark Karpeles, the former CEO of Mt. Gox, is already facing 10 years in prison in Japan and now the United States looks to prosecute him as well. BitMEX updated their terms of service to more stringent against United States citizens, since United States citizens have been using BitMEX despite being banned in 2015. We discuss the EOS blacklist failure incident where $7.5 million of EOS was released due to a rogue block producer. There is talk of giving the ECAF more power for the blacklist, although a better solution may be getting rid of the blacklist. On this edition of the Crypto.IQ Daily Radio Show we do a deep dive market analysis. Bitcoin (BTC) has climbed back above $3,800 and other major cryptocurrencies are mixed this morning. The Ethereum (ETH) hard fork will be today around 3 pm eastern time, and it will be critical for this fork to deploy correctly or the Ethereum (ETH) market could be in big trouble. Hear about how Cryptopia is reopening for trading soon, which will be a boon for numerous small cap cryptocurrencies listed on Cryptopia. We discuss how the Green New Deal proposed to Congress would cause hyperinflation of the USD and bring about extremely high Bitcoin (BTC) prices. We also discuss how Monero (XMR) may be needed in a totalitarian future where people with low credit scores are not even allowed to use cash, which is something already happening in China. On this edition of the Crypto.IQ Daily Radio Show we do a deep dive market analysis. The price of Bitcoin (BTC) and major cryptocurrencies has been rising on average since the crash on February 24, and this morning most cryptocurrencies are in the green. We discuss the Ethereum Constantinople/St. Petersburg hard fork which should deploy tomorrow. Hear about how Cryptopia has 90.6 percent of customers’ funds, and how this has finally been revealed 1.5 months after the hack. It is unknown when customers will get their money back. Learn about how miners are making big money on empty blocks. We also discuss how the legal cannabis industry is experiencing banking problems, much like the crypto industry, and why this is the reason Bitcoin (BTC) is needed to preserve financial freedom. On this edition of the Crypto.IQ Daily Radio Show we do a deep dive market analysis. Major cryptocurrencies are mixed this morning. The Ethereum (ETH) Constantinople and St. Petersburg hard forks will happen in the next day or two when block 7.28 million is reached. Regardless of the controversy surrounding the fork, the fork is needed since the difficulty bomb is pushing block times over 20 seconds. Ripple (XRP) is being added to Coinbase, which is controversial since Ripple (XRP) is not truly a cryptocurrency, the Ripple (XRP) market is highly centralized, and Ripple (XRP) may be considered a security. On this edition of the Crypto.IQ Daily Radio Show we do a deep dive market analysis. After a bullish rise to $4,200 Bitcoin (BTC) crashed to $3,700, along with the rest of the crypto market. We discuss various exchange stories today, including how South Korean crypto exchange Coinbin has gone bankrupt and how Bitfinex has recovered 0.02% of the lost Bitcoins (BTC) from a 2016 hack. The overarching theme of these stories is to not keep your crypto on an exchange, instead keep your crypto in your own wallet where you control the private keys. Hear about how Huobi is closing their Australian office. On this edition of the Crypto.IQ Daily Radio Show we do a deep dive market analysis. Today cryptocurrencies are in the green, following a bearish day yesterday. We discuss the debate over increasing the Bitcoin (BTC) supply, and how that is a terrible idea that will not happen. Learn about how Russia is launching an oil backed cryptocurrency, and how an investment bank in Brazil plans on raising $15 million in a security token offering (STO). On this edition of the Crypto.IQ Daily Radio Show we do a deep dive market analysis. Bitcoin (BTC) and other major cryptocurrencies are declining on a trifecta of negative news. The Ethereum (ETH) dev in charge of fork coordination has quit, only 6 days before the Constantinople hard fork. The CME Bitcoin futures expiration date is tomorrow, and this may be why Bitcoin (BTC) is declining towards its January expiration level. CME is reporting record volume, and in general Bitcoin futures volume on CME is constantly increasing. Additionally, the SEC has cracked down on the Gladius ICO, reminding the crypto space that the SEC is still at war with ICOs. On this edition of the Crypto.IQ Daily Radio Show we do a deep dive market analysis. Bitcoin (BTC) is on a slow uptrend on average the past couple of days but quite volatile. Major cryptocurrencies are mixed today. In general it is too soon to say the bear market is over. We discuss how Tim Draper says everyone will be paying for coffee with Bitcoin (BTC) by 2023. Hear about how John McAfee is still running his campaign for president in exile, although he has no charges against him and is not technically on the run. We also discuss how QuadrigaCX is probably liquidating their remaining cryptocurrency based on information from blockchain forensics firms. On this edition of the Crypto.IQ Daily Radio Show we do a deep dive market analysis. The rally from yesterday continues and Bitcoin (BTC) went as high as $4,000 this morning. The total crypto market cap has added $5 billion since yesterday evening and is now at $136 billion. We discuss how Bitmain lost $500 million in Q3 2018, but is still trying to do an IPO on the Hong Kong Stock Exchange. Hear about how Coinbase has acquired a blockchain forensics firm to track customer’s transactions. On this edition of the Crypto.IQ Daily Radio Show we do a deep dive market analysis. Bitcoin (BTC) has rallied to $3,800 and the total crypto market cap has increased by $10 billion in a day. Ethereum (ETH) and EOS are leading the rally with 14 percent gains. We discuss how Craig Wright is getting more aggressive with his claims that he is Satoshi Nakamoto, yet still refuses to show any actual proof. Hear about how the former CEO of Mt. Gox, Mark Karpeles, says that Brock Pierce has no right to re-launch Mt. Gox. On this edition of the Crypto.IQ Daily Radio Show we do a deep dive market analysis. Bitcoin (BTC) continues to slowly decline on average since the rally on February 8. JPMorgan Chase is trialing an in-house cryptocurrency called JPM Coin, a first for the industry. Hear about how Craig Wright has once again claimed to be Satoshi but refuses to prove it. Learn about how Bitcoin (BTC) transaction frequency is nearing record highs but transaction fees remain low, indicating that scalability solutions like SegWit and the Lightning Network may be effective. On this edition of the Crypto.IQ Daily Radio Show we do a deep dive market analysis. Bitcoin (BTC) and the rest of the crypto market has been mixed over the past day, with alternating price rises and drops. Hear about how QuadrigaCX says they lost $500,000 of cryptocurrency in the past week, intensifying the scandal that started when it was announced that $190 million of cryptocurrency had been lost due to the Founder and CEO dying. We discuss the upcoming Ethereum (ETH) hard fork, and the ongoing detonation of the difficulty bomb. Learn about how Bitcoin (BTC) block sizes have hit a record high and the mempool has been above normal levels for a couple of days. We also discuss how an Israeli law firm has accused Coinbase of providing Bitcoin (BTC) accounts to Hamas, in addition to how Coinbase is being criticized for storing private keys in the cloud. On this edition of the Crypto.IQ Daily Radio Show we do a deep dive market analysis. Bitcoin (BTC) is sliding below the $3,600 level, and most major cryptocurrencies are in the red this morning. Morgan Creek will be investing pension funds into crypto and blockchain, a first for the industry. Ethereum (ETH) dApps have seen extremely low adoption rates, and now Binance Chain and the Binance DEX will be competing with Ethereum (ETH) as a better way to issue tokens. Hear about how Venezuela’s Maduro regime will be trying to limit Bitcoin (BTC) transactions and charge 15% fees, although this scheme likely will not succeed. Learn about how the Reality Shares Bitcoin ETF is not a good thing since it is based on CME Bitcoin futures, which have been poisonous for the crypto space. On this edition of the Crypto.IQ Daily Radio Show we do a deep dive market analysis. Litecoin (LTC) and Dash (DASH) continue to rally, but for the most part the crypto markets have stabilized following the big rally a few days ago. We discuss how the SEC commissioner Hester Peirce says some utility tokens may not be considered securities. We also discuss the implications of Tron (TRX) airdropping Bittorent Tokens (BTT) to users over the next 6 years. On this edition of the Crypto.IQ Daily Radio Show we do a deep dive market analysis. This morning there is a broad crypto space rally that is being led by a 13 percent Litecoin (LTC) rally. Litecoin (LTC) is possibly rallying on news that it will be integrating Mimblewimble privacy technology. Bitcoin (BTC) is back above $3,400. We discuss how the funding raised by ICOs decreased from $1.8 billion in Q3 2018 to $1.4 billion in Q4 2018, likely due to increasing regulation. We then speculate about the possible future of the ICO industry. On this edition of the Crypto.IQ Daily Radio Show we do a deep dive market analysis. Bitcoin (BTC) is at $3,360, just above a support level at $3,300-$3,350. Longer term Bitcoin (BTC) is declining towards the bear market low of $3,120. Major cryptocurrencies are rebounding today after losses yesterday. The most interesting news of the morning is that Brock Pierce owns a 100% stake in Mt. Gox and is planning on re-launching it once the court proceedings to repay users are completed. Brock Pierce compares Mt. Gox to a phoenix rising from the ashes. Bitcoin (BTC) Drops Below $3,400 Support Level, Moon Phase And Bitcoin Price Connection? On this edition of the Crypto.IQ Daily Radio Show we do a deep dive market analysis. After a prolonged period of stability Bitcoin (BTC) dropped below the $3,400 support level. Other major cryptocurrencies are dropping as well today. We discuss the possible connection between moon phases and the Bitcoin (BTC) market. Hear about how the Gemini exchange has closed some big accounts over Gemini Dollar (GUSD) redemptions. We also discuss the continuing QuadrigaCX situation. The Indian government has released a death certificate for the CEO and Founder of QuadrigaCX, and simultaneously Canadian court has given QuadrigaCX a month of protection against lawsuits so they can recover the $190 million of cryptocurrency supposedly in the CEO’s laptop, even though Chain Analysis shows those cold wallets do not actually exist. On this edition of the Crypto.IQ Daily Radio Show we do a deep dive market analysis. Bitcoin (BTC) has been very stable over the last week, stuck between resistance at $3,500-$3,600 and support at $3,300-$3,400. We discuss the Lightning Network torch, a game being played on Twitter where an increasingly large transaction is passed between lightning users. It has already been stolen once, but proves that the Lightning Network is an efficient payment method, and shows that the Lightning Network is perhaps ready to act as a critical scalability solution for Bitcoin (BTC). On this edition of the Crypto.IQ Daily Radio Show we do a deep dive market analysis. The crypto bear market continues, with data from the weekend indicating a Bitcoin (BTC) resistance level at $3,500. Hear about how the NEM Foundation has burned through all of its funds and are asking for more funds, and they likely played a role in NEM’s (XEM) 98 percent price collapse. We discuss the controversial QuadrigaCX situation. Supposedly the CEO and Founder of QuadrigaCX went to India to build an orphanage and died, and had exclusive control of $190 million of private keys that cannot be recovered. An investigation by Chain Analysis has found that QuadrigaCX does not have cold wallets, is not being honest about its crypto holdings, and was likely operating as a ponzi scheme. On this edition of the Crypto.IQ Daily Radio Show we do a deep dive market analysis, and discuss the approaching Ethereum (ETH) Constantinople hard fork. Hear about how the VanEck SolidX Bitcoin ETF has re-submitted their application to the SEC, only a week after withdrawing it. On this edition of the Crypto.IQ Daily Radio Show we do a deep dive market analysis. Major cryptocurrencies are sliding downwards this morning after a Ripple (XRP) led rally yesterday. We discuss how the dollar is declining and gold is rising, on news that the Federal Reserve is not going to increase interest rates anymore and will stop purging assets from its balance sheet. This should have caused a Bitcoin (BTC) rally, but Bitcoin has not responded. We also discuss how Binance has begun accepting credit and debit cards. On this edition of the Crypto.IQ Daily Radio Show we do a deep dive market analysis. Major cryptocurrencies are regaining some losses, with Ripple (XRP) leading the way with an 8 percent gain today. We discuss the possible SEC enforcement action against the $100 million kik (KIN) ICO, and we also discuss the Bittorrent ICO which sold out within 15 minutes. Will Venezuela’s Petro And Iran’s National Cryptocurrency Succeed At Circumventing Sanctions? On this edition of the Crypto.IQ Daily Radio Show we do a deep dive market analysis. Bitcoin (BTC) has declined to $3,400 and the total crypto market cap is down to $113 billion. Re-testing of bear market lows is possible in the short term. We discuss how the Venezuela Petro has been verified to be real, and now it’s needed more than ever due to the United States sanctioning the national oil company of Venezuela. Iran is launching a national cryptocurrency in the next few days as well. Will either of these national cryptocurrencies succeed at circumventing United States sanctions? It is speculated that Venezuela and Iran should simply adopt Bitcoin instead of issuing national cryptocurrencies. On this edition of the Crypto.IQ Daily Radio Show we do an in-depth market analysis. Bitcoin (BTC) has gone below the $3,500 support level, and a re-testing of bear market lows near $3,100 is not out of the question. Major cryptocurrencies are down 5-10%. We discuss how Ripple Labs dumped a record amount of XRP onto the market in 2018. On this edition of the Crypto.IQ Daily Radio Show we do a deep dive market analysis as Bitcoin (BTC) and other major cryptocurrencies slowly decline. The CME Bitcoin futures expiration is happening today, and since there is strong support at $3,500 the Bitcoin (BTC) and crypto markets may see a rally once CME short positions close out. We also discuss new research which shows that Ripple’s (XRP) market cap is much lower than previously thought due to the number of XRP in circulation being significantly overstated. The Bread (BRD) wallet is unique in that it stores zero wallet data on servers. The wallet data and private keys are stored on the user’s mobile device behind a secure enclave, and not on a server. This is in stark contrast to popular mobile wallet Blockchain.com which does store user’s data on servers, including private keys. 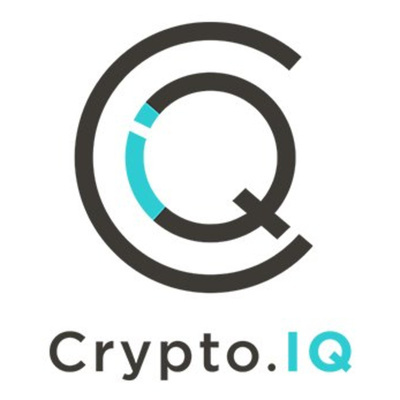 On this edition of the Crypto.IQ Daily Radio Show we do an in-depth market analysis. Bitcoin is stable just above the $3,500 support level despite the cancellation of the VanEck SolidX Bitcoin ETF, and a rally is possible after the Jan. 25 CME Bitcoin futures expiration. Backwardation in the futures markets is a bullish sign for Bitcoin. We discuss the state-backed cryptocurrency being launched by the UAE and Saudi Arabia, and explain how it is basically a form of fiat currency and not for investment. Hear about the potential civil war in Venezuela, while simultaneously Venezuela has shutdown Localbitcoins. On this edition of the Crypto.IQ Daily Radio Show we discuss how the January 25 CME Bitcoin futures expiration may be the pivot point for the crypto market, after which a rally is possible. This is because there is strong support at $3,500, and shorting from this level may be intractable and risky. We also discuss how John McAfee has been charged with felonies by the IRS and has fled the United States, while posting live updates to his 850,000 Twitter followers. On this edition of the Crypto.IQ Daily Radio Show we do a deep dive market analysis. Bitcoin (BTC) has solid support at $3,500, and the Wyckoff chart suggests a bottom will happen at the start of February, followed by a rally. The fundamental support at $3,500 combined with the CME Bitcoin futures expiration also suggests that the beginning of February can see a reversal from bear market to rally. However, it will take up to a week after the CME Bitcoin futures expiration to confirm the trend for February. On this edition of the Crypto.IQ Daily Radio Show we discuss price movements for all the major cryptocurrencies, and do an in-depth analysis on the dynamics influencing Bitcoin’s price including the coming CME Bitcoin futures expiration on January 25. We discuss the importance of Bakkt physical Bitcoin futures and the continued launch delays. We analyze the Ethereum (ETH) Constantinople hard fork which has been delayed and caused an accidental chain split. On the Inaugural Episode of the Crypto.IQ Daily Radio Show with Space Marine we tour the Museum of Bitcoin at the North American Bitcoin Conference in Miami.